Google announced today that it will be closing its Nexus One web store. According to company Vice President Andy Rubin: "while the global adoption of the Android platform has exceeded our expectations, the web store has not...it's clear that many customers like a hands-on experience before buying a phone." Now the company has revealed that "This week we received our last shipment of Nexus One phones. 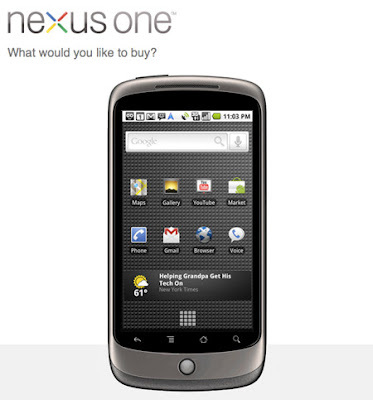 Once we sell these devices, the Nexus One will no longer be available online from Google."